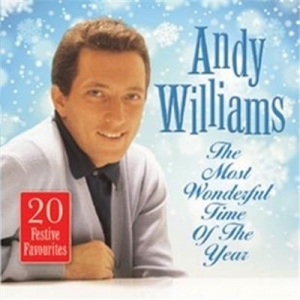 The Most Wonderful Time of the Year' includes a variety of holiday favourites performed by Andy Williams. Among the 20 Christmas classics are "It's the Most Wonderful Time of the Year", "Sleigh Ride", "Let It Snow! Let It Snow! Let It Snow! ", and "The Christmas Song". Those who appreciate the soothing vocal delivery of Andy Williams should find this collection a welcome addition to their holiday music collections. 4 Do You Hear What I Hear? 5 Let It Snow! Let It Snow! Let It Snow!